There’s something to say about someone who recognizes their weakness and works at it tirelessly to improve. 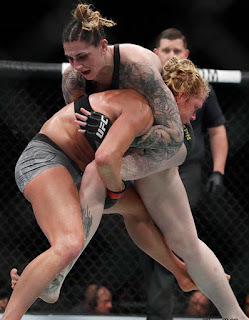 The mixed martial arts world witnessed that at UFC 225, when Holly Holm defeated Megan Anderson in the organization’s first non-title women’s featherweight fight. 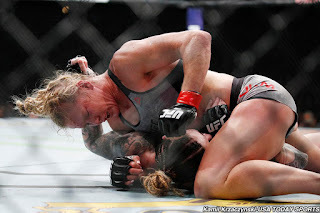 Over the course of three rounds Holm showed exactly how hard work at the gym can pay off, and her improvement is a testament to the kind of role model of athlete Holm is. On Saturday night Holm squared off against the much larger and younger Anderson, a fighter that many had pegged as a strong candidate to challenge current featherweight dominator Cris Cyborg. Holm closed as a slight betting favorite before the bout, but that was after a late swing in the eyes of Vegas, as Anderson was originally favored. These odds were based on the presumption that Holm would go in and use the same counter fighting style that she’s used throughout much of her boxing and MMA run. But instead, we saw an entirely different fighter in the Octagon. 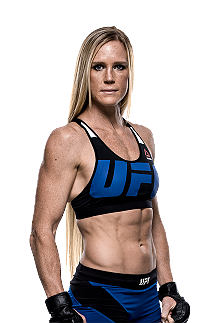 In 15 minutes Holm scored four takedowns to control Anderson and work her way toward a unanimous decision victory, with scores of 30-27 and 30-26 twice. This was the first time that Holm has scored more than 1 takedown in a fight, and her first time successfully taking the fight to the ground since 2015 when she faced Ronda Rousey at UFC 193. This was a shock to not only Anderson, but also the commentary team and the fans watching around the world. This is worthy of high praise for Holm and it shows why she remains a fighter worth emulating in this sport. Holm had been struggling as of late -- heading into this fight against Anderson she was 1-4 in her last five. Against the highest level that women’s MMA has to offer, she had failed mightily. Since stopping Rousey in two rounds, she’s fallen to Miesha Tate, Valentina Shevchenko, Germaine de Randamie, and Cyborg. Many questioned whether she still had a place in the sport, especially as she approaches 37 years of age. However, Holm addressed those concerns with a great win here, as she showed an ability to add wrinkles to her game and close some of the holes that were exposed during her recent skid. 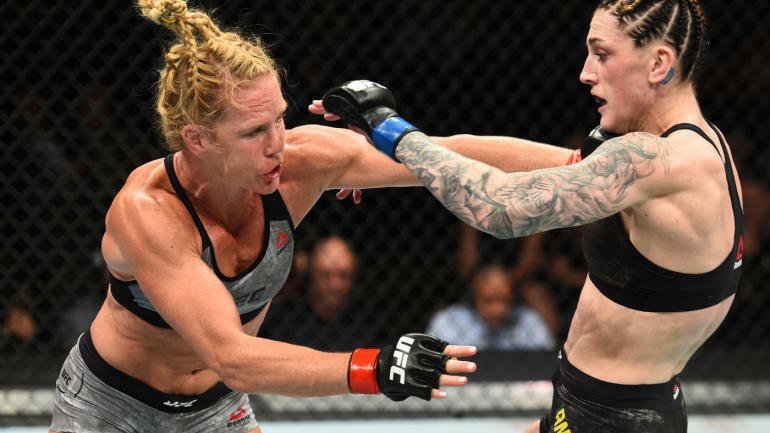 Whether she returns to bantamweight or remains in the featherweight division for a while, Holly Holm's performance at UFC 225 showed that she still has a lot to offer either division. And there’s still room for her continued development, It remains to be seen whether she acquires gold again, but her tireless efforts to improve in the gym make her a threat to any of the women who stand across the cage from her. • Megan Anderson vs. Holly Holm: Holly Holm def. Megan Anderson via unanimous decision (30-27, 30-26, 30-26).